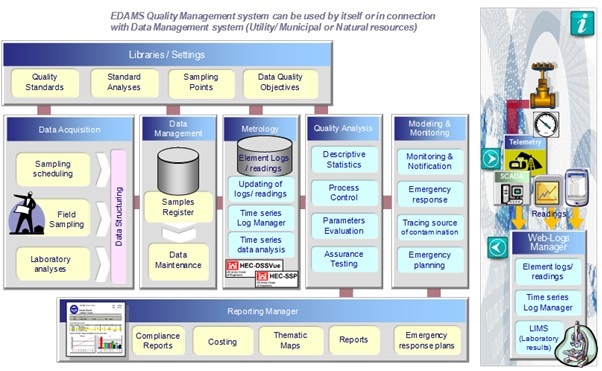 The main purpose of the system is to: (a) computerise the laboratories improving sample analysis and overall management, (b) monitor and effluent quality, (c) ensure procedural measures (d) produce reports for regulatory compliance and (e) improve quality and ensure quick emergency action in case of contamination. Logging/ Metering: The system allows for data collection in various ways, including the use of a web-portal for field data capture. The user can manage the quality, logs and maintenance records through one solution. The field crews to perform a wide variety of quality and maintenance related operational tasks as required. 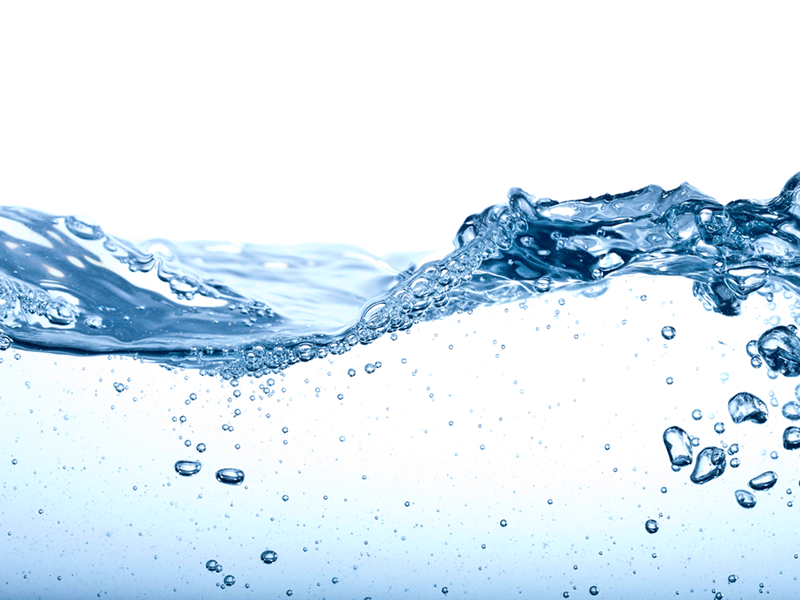 Response: The system compares readings/measurements to Water Quality Standards raises alarms for various purposes and initiates predefined activities. Data Processing: The system filters, processes raw readings and gives the user the ability to correct/ append readings and generate corrected continuous records. Standards: The system is configured in line with ISO 17025, focusing on the competencies of Analytical Laboratories and the traceability of data, leading to laboratories accreditation. Importing/Exporting Data: The system supports importing measurements in different formats and includes pre-configurable templates for easy uploading/ exporting of data. Quality Operations: The operator can monitor and control the sampling post-process by instigating re-sampling on failed parameters, maintenance requests or ordering of new samples. Data Analysis & Reporting: Includes: (1) Descriptive Statistics, (2) Analysis of data distributions, (3) Comparison to Water quality standards and indices, (4) Comparisons & associations of data sets, (5) Time series analysis, (6) Process Control Analysis, (7) Data Evaluation, (8) Incident reporting/ tracking for quality failures, (9) Industrial Effluent compliance and (10) Management Reports.